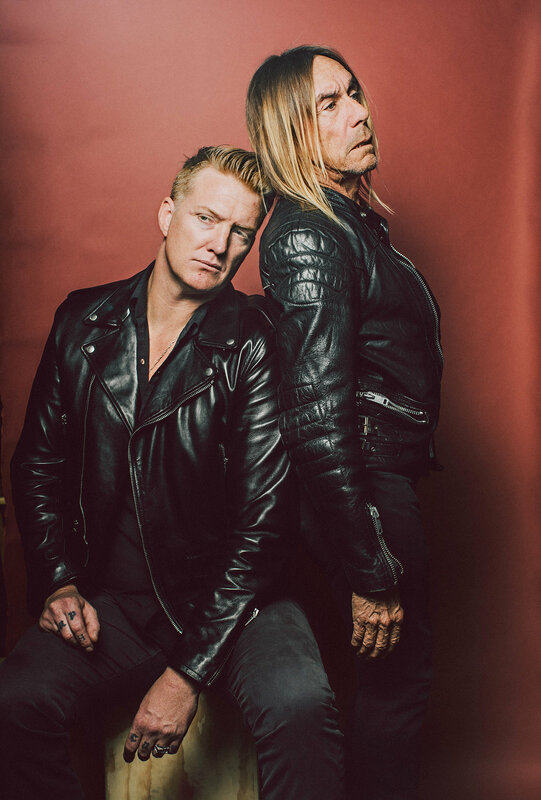 Iggy Pop and Josh Homme (of Queens of the Stone Age and Eagles of Death Metal) announced a new collaborative album named #PostPopDepression. The full album, which is scheduled to be released on March 18th, is been written and recorded together in full secrecy, far away from the loud of the crowd of the scene which, in these days, is definitely devoted to re-evoking David Bowie’s spirit. On this I say he was just The Top, over only the sky. And now Iggy Pop has detailed the project, which is billed as an Iggy Pop album, produced by Homme, out on March, via Loma Vista/Concord. Post Pop Deepression doesn’t only see Homme’s involvement only that, in an interview with The New York Times, revealed that it was “by a stroke of fate” that he didn’t perform with his other band Eagles of Death Metal at the Bataclan the night of the Paris attacks. He added that making Post Pop Depression helped him overcome the trauma and referring to the album he said ” it saved me”. The album can also count other super artists from indie/alt rock scene (part of the Homme’s entourage) as Queens of the Stone Age‘s Dean Fertita, which plays guitars and keyboards, and Arctic Monkeys’ drummer Matt Helders. Pop and Homme plan on taking the album on the road, where they’ll be accompanied by Fertita and Helders, plus QotSA’s Troy Van Leeuwen (guitar) and Chavez’s Matt Sweeney (bass) but for now Mr Pop shared the first single from the album, “Gardenia”, a smoothie rock song, super groovy, with a fantastic vintage approach… Homme/Pop branded, two faces of the same rocknroll!